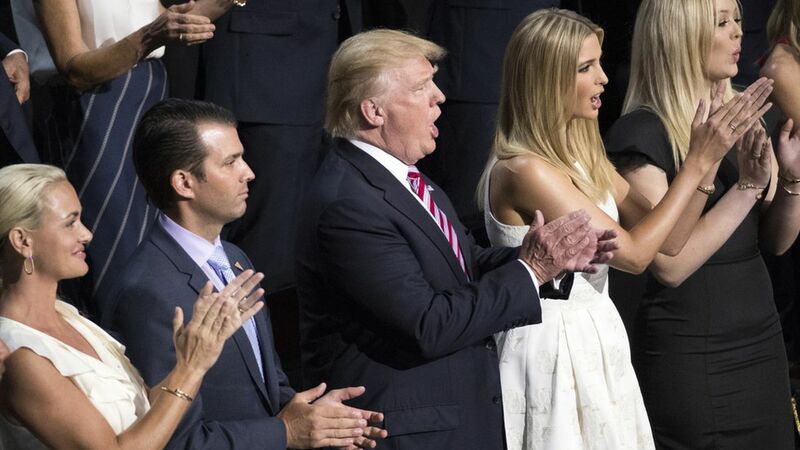 "Those who know and have studied Donald Trump Sr. and the grown children running his empire while he's president — Don Jr., Ivanka and Eric — say the family is guided by their father's creed of winning at all costs and never admitting mistakes," according to PEOPLE's Sandra Sobieraj Westfall and Tierney McAfee. A source who has had business dealings with President Trump: "He doesn't like failure and mistakes, and he doesn't accept them ... You have to justify your existence to be in his realm." "For all his campaign rallies last year and bellicose tweets this year, Trump Jr., who along with his brother Eric, 33, remained in N.Y.C. to run the family business, still relishes the quiet of his lifelong loves of hunting and fishing. Most weekends, he escapes Trump Tower Manhattan to a rustic cabin upstate with his wife, Vanessa, and their five children." A source in the Trump brothers' circle: "Don [Jr.] can't do any deals, because he'll be overly scrutinized. He just goes to work every day and is miserable. ... You can't bite the hand that feeds you, but he [Don Jr.] can't wait for these four years to be over."